Get real-time big data analytics to identify better data-driven business opportunities with the Xeon processor E7 v3 Family. 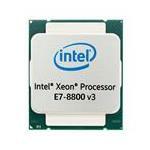 By using Xeon v3 processors, you get the power of in-memory computing for intelligent and proactive decision-making. The Xeon processors are designed to handle massive workloads in order to enhance performance, reliability and advanced virtualizations. Keep a significant business advantage with data-driven supremacy while using Xeon Processors. Optimize your computing capacity with the 8-socket native configuration to meet high-capacity data analytical demands and to process massive volumes of data. Improve the performance of your data center with embedded hardware technologies. Boost your productivity by utilizing energy-efficient processing at low latency. Xeon processors even allow you to protect your data by the use of hardware-assisted technologies, specially tailored for the analysis of big data for faster data-driven models. 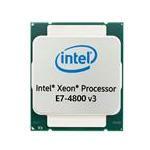 Browse Xeon processors on Memory4less.com. Choose Intel Xeon v3 Processors that best suit your needs and avail free shipping on your purchase.